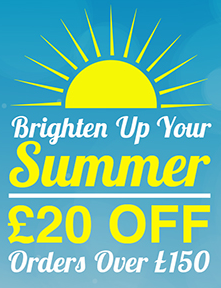 Brighten up your summer with £20 off orders over £150. Simply sign up to our discount club to make sure you receive our latest discount voucher. Offer ends 31st August.